How to use instapot to make food instantly? Cooking is a simple job but people often feel it be a hassle in their everyday lives. Several people nourish themselves on junk foods and microwaveable dinners which are filled with bad chemicals. So, they definitely need a kitchen gadget that would help them to cook simple and tasty food without dedication hours to the thing. One such thing does exist in the market and it is the InstaPot. It has been marketed to people who do not have a lot of time to dedicate it to cooking. So, let us know about this gadget in a little more detail. 1 What is an InstaPot? 1.1 How to use the InstaPot? 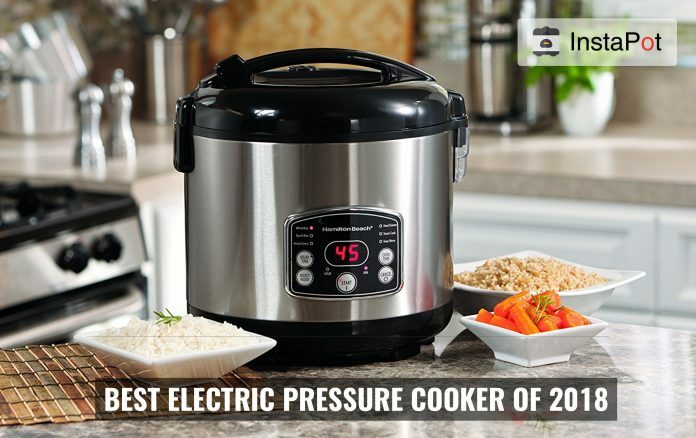 Essentially this is an electric pressure cooker that helps in getting the job done quickly. But most models do come with added features to make it into a multi-cooker. This includes the settings of being a rice cooker, a slow cooker, steamer and much more. It just replaces several other kitchen utensils that people usually tend to use on a daily basis. Generally, there are different sizes of these things so that people can choose accordingly. It is said that the appliance can cook in 70% less time than the normal cooking methods. The InstaPots are also energy efficient and great for people who are starting out with cooking. How to use the InstaPot? Reading the manual is quite important when you get such a gadget. There are several buttons and settings that you will need to get used to. Read the manual carefully to avoid any damage to your new InstaPot. The first step of using it can be as simple as boiling some water for 5 minutes. The buttons may look different but most settings are made for the ingredients that you will cook. You can also easily set manual times according to your need. Move on to boiling eggs and cooking frozen vegetables to ease your process into making complex dishes. If you are unsure of your own recipes, try to take advice from other places. The internet has a lot of information regarding the InstaPot. There are helpful bits of advice to make tasty food and you can follow the instructions to cook them. With time you will definitely learn how to make your own food and also the needed time duration. Remember that your InstaPot will also work as other gadgets like a rice cooker and slow cooker. So, check the buttons that are allotted for those purposes. Generally, a Slow Cook option will cook your food for 4 hours without the pressure. A normal pressure setting stands for the gadget not using any pressure. If you are a beginner do not try to release the pressure on your own. The machine is quite intelligent and it would do the release when it is time. Cleaning the InstaPot is important as well. Cleaning the insert is enough for daily usage. But once in a while, you can deep clean the appliance. Also, never try to move the lid when the pressure is set to high or low as the lid is sealed for safety. So, here are some tips on using the InstaPot. Check out online recipes and we are sure that you would do great in cooking dishes. Remember that everything takes time and you will definitely get used to it in due time.